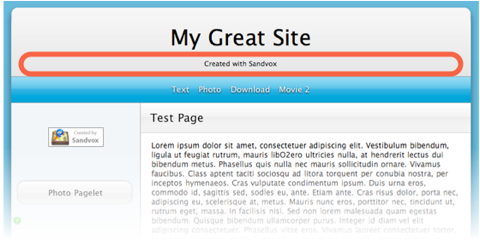 The Site Tagline appears at the top of every page of a site, usually just below the Site Title. Press Return or click outside of the text area. Check or uncheck the 'Tagline' box on the Appearance tab of the Document Inspector.